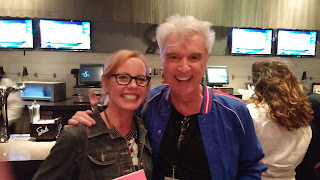 The other day I heard the Talking Heads' "Once in a Lifetime" on KEXP which took me back to the days of early MTV's short playlist and Tony Basil's choreography capturing David Byrne's manic angularity without messing with the pure magic of this iconic song. When I realized it was the live version, I was back at Forest Hills aglow from the group's conceptually creative concert as captured in film for Stop Making Sense. (I wrote about the doc's 30th anniversary in a post last fall.) My mind then flashed forward in time through concerts in 1993, 2001 and 2009 plus Here Lies Love (2013) along with my many run ins with David Byrne in the city and lately at the Brooklyn Academy of Music, known as BAM. My first article for PopMatters about my love of online radio was picked up by his website five years ago -- probably my proudest moment in writing. I was also recently tapped to write about his collaboration with BAM and the Barclays Center, Contemporary Color, to appear in the BAMbill and BAM Blog (found online here). While I've seen many other media outlets pick up the story, so much is focused on the genius of Byrne and the visual showcase of ten color guard teams but hardly mentioning half of the rock stars that will be providing the soundtrack. I'm sure they were all pleased to get the call to join in and have since been going the extra mile to compose an original piece of music for the project. Here's a video of Merrill Garbus of TUnE-yArDs (and fellow Smith grad) meeting with her color guard team Emanon for the first time. 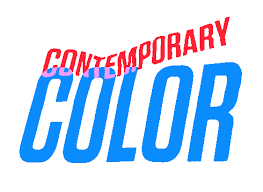 Check this varied list of artists below, visit ContemporaryColor.com or read my BAM write up for more info, and grab some tickets. 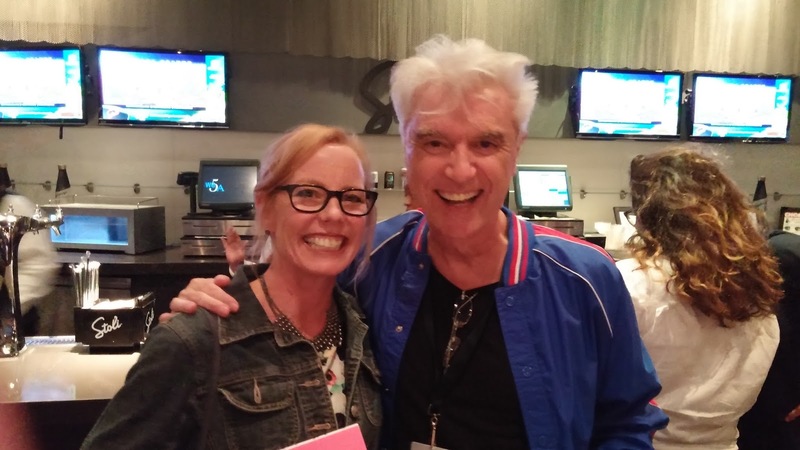 For me, Contemporary Color is going to be yet another momentous musical moment with David Byrne.